HB330 HD1 SD1 RELATING TO SUICIDE PREVENTION. HB768 RELATING TO CAPITAL IMPROVEMENT PROJECTS FOR THE BENEFIT OF THE FIFTH REPRESENTATIVE DISTRICT. HB770 HD1 RELATING TO CAPITAL IMPROVEMENT PROJECTS FOR THE BENEFIT OF THE HONALO MARSHALLING YARD. HB937 HD1 RELATING TO DEPARTMENT OF AGRICULTURE LOANS. HB938 HD1 RELATING TO AGRICULTURE. HB1103 HD2 SD1 RELATING TO THE PESTICIDE SUBSIDY PROGRAM. HB1151 HD1 RELATING TO COMMERCIAL OCEAN RECREATION. HB1508 HD1 RELATING TO THE DEPARTMENT OF AGRICULTURE. HB1510 RELATING TO AGRICULTURAL VILLAGES. HB1511 HD2 RELATING TO THE COMMUNITY-BASED ECONOMIC DEVELOPMENT ADVISORY COUNCIL. HB1560 RELATING TO PHYSICIAN ASSISTANTS. HB1561 HD1 SD2 RELATING TO AGRIBUSINESS DEVELOPMENT. HB1562 HD1 SD2 RELATING TO THE DEPARTMENT OF AGRICULTURE OPERATING BUDGET. HCR18 REQUESTING THE DEPARTMENT OF TRANSPORTATION TO CONVENE A WORKING GROUP TO ASSESS THE VIABILITY OF SAFE PUBLIC ACCESS TO HUEHUE LAVA TUBE ON THE ISLAND OF HAWAII. HCR119 REQUESTING THE DEPARTMENT OF EDUCATION TO REPORT ITS CURRENT USAGE AND PLANS FOR FUTURE USAGE OF GLYPHOSATE AND GLYPHOSATE-CONTAINING HERBICIDES ON AND AROUND DEPARTMENT OF EDUCATION PROPERTIES, INCLUDING SCHOOLS AND PLAYGROUNDS. HR75 REQUESTING THE DEPARTMENT OF TRANSPORTATION TO CONVENE A TASK FORCE TO ESTABLISH BETTER SAFETY CONDITIONS AT CROSSWALKS AND REPORT ON RECOMMENDED LOCATIONS AND POTENTIAL COSTS TO IMPLEMENT PEDESTRIAN ACTUATED SAFETY SIGNALS AT MID-BLOCK CROSSINGS. HR109 REQUESTING THE DEPARTMENT OF EDUCATION TO REPORT ITS CURRENT USAGE AND PLANS FOR FUTURE USAGE OF GLYPHOSATE AND GLYPHOSATE-CONTAINING HERBICIDES ON AND AROUND DEPARTMENT OF EDUCATION PROPERTIES, INCLUDING SCHOOLS AND PLAYGROUNDS. HR129 REQUESTING THE DEPARTMENT OF LAND AND NATURAL RESOURCES TO CONDUCT A FEASIBILITY AND COST STUDY RELATING TO THE CONSTRUCTION OF A BOAT RAMP IN THE PUNA DISTRICT. HR131 URGING THE COUNTY OF HAWAII TO ESTABLISH A HOUSING ASSISTANCE PROGRAM FOR RESIDENTS AFFECTED BY THE 2018 VOLCANIC DISASTER. HR132 URGING THE UNIVERSITY OF HAWAII TO STUDY THE FEASIBILITY OF ESTABLISHING A HAWAII COMMUNITY COLLEGE DISTANCE LEARNING CENTER IN THE PUNA DISTRICT. HONOLULU - Gov. Neil Abercrombie today announced the appointment of Richard P. Creagan, M.D. to the state House of Representatives for Hawaii's Fifth Representative District, a seat recently left vacant by the resignation of Rep. Denny Coffman. The appointment is effective immediately and for the balance of the term. "Richard's diverse experience as a physician, researcher, farmer, Peace Corps volunteer and educator will contribute greatly to his service to the people of Hawaii," Gov. Abercrombie said. "I look forward to working with Richard as a member of Hawaii's House of Representatives." Dr. Creagan first came to Hawaii in 1966 and trained for the Peace Corps on Molokai for two months. He then served as a Health Care Worker in the Marshall Islands for two years. He speaks fluent Marshallese. A resident of Naalehu on Hawaii Island, Dr. Creagan is vice-president of Kiolakaa Mountain Farms, which he founded in 1994 with his wife, Marilyn, who works as a labor and delivery nurse at Kona Community Hospital. As a residency trained and board certified emergency physician, Dr. Creagan worked for 10 years in California prior to moving to Hawaii full-time 23 years ago. Since then, he has worked in the Emergency Department and served as vice-chief of staff at Kona Community Hospital, worked as a Hawaii Department of Health bioterrorism preparedness epidemiologic investigator monitoring disease outbreaks, and helped found and run Hualalai Urgent Care. 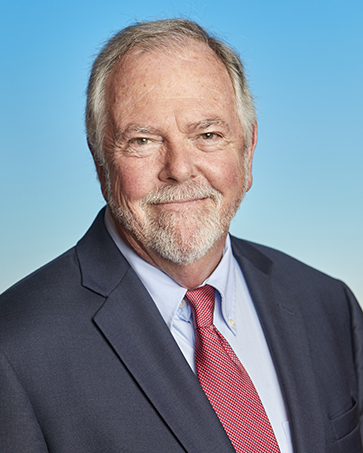 Before his medical career, Dr. Creagan was a student and human genetics researcher at Yale University and the University of Connecticut Medical Center. He later helped found and run San Francisco-based AGRI, a firm which focused on animal vaccines and human blood products. The start-up company was eventually bought after five years, which facilitated his move to Hawaii. As an educator, Dr. Creagan has assisted in teaching junior scientists at Yale and the Worcester Polytechnic Institute. He taught English as a Peace Corps volunteer, seventh and eighth grade math and science in Pittsburgh, and tutored students in English at Naalehu Elementary School. The Senior Counsel Division of the Hawaii State Bar Association will be holding a FREE legal clinic in Na'alehu and Ka'u to provide legal information to the people of the island of Hawaii. We encourage you to take advantage of this great opportunity and resource! (HONOLULU) - The Department of Land and Natural Resources (DLNR) and its Division of Boating and Recreation (DOBOR) announced today its decision to select the "no-action" option in a Draft Environmental Assessment (EA) for the proposed Keauhou Bay Offshore Moorings project. 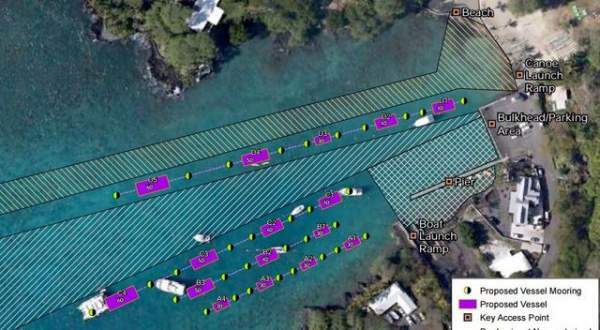 Considerable public interest and input during the review process of the potential for adding moorings in Keauhou Bay on the Kona side of Hawaii Island informed DLNR's decision to no longer pursue additional moorings. "After hearing from many people about this proposal as well as personal site visits by DLNR and DOBOR leadership to review the situation, I am confident that it is in the best interest of all users of Keauhou Bay that we not add additional moorings" said DLNR Chair Suzanne Case. "We thank people for their continued engagement with this proposed project over the years. While we have decided not to pursue additional moorings, we still need to be sure that the existing moorings are compliant with all regulations. We will work with the mooring permit holders to be sure this is done" said Ed Underwood, DOBOR Administrator. DOBOR will file the "no-action" option outlined in the Draft EA with the Hawaii Office of Environmental Quality Control this week. Save the date for Tropic Care 2016! Hours are 8:30am-3pm on Tuesdays thru Fridays, and 8:30am-12pm on Saturdays. Mahalo to the Finance and Ways and Means Committees for allocating much needed resources to District 5! The State Legislature is currently in its period of negotiations called "conference"